Yuuki watched the activity this morning and went and placed herself in the van. 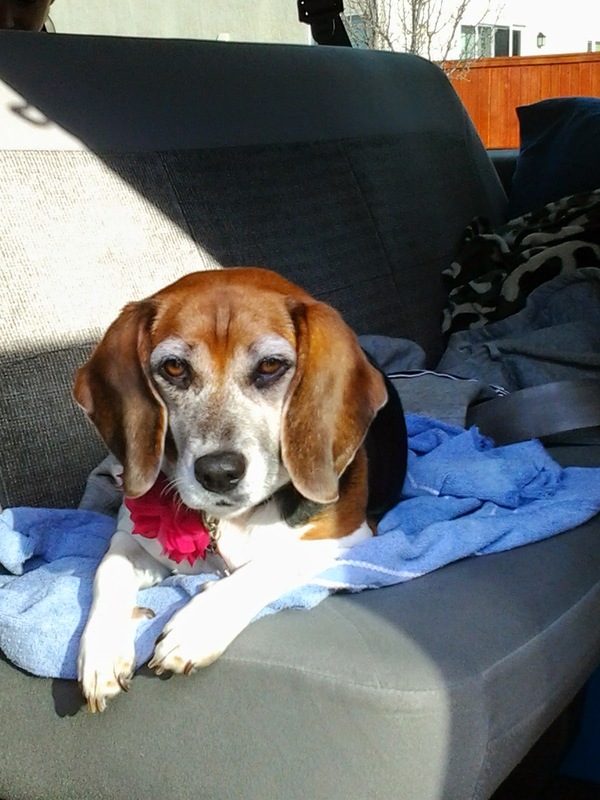 She knows the routine and was NOT going to be left behind on the first Road Trip of 2015! Hwy 20 and Hwy 101 are BEAUTIFUL....torturously winding....but beautiful. Five of us slept thanks to Dramamine......but the glimpses we DID catch were beautiful. 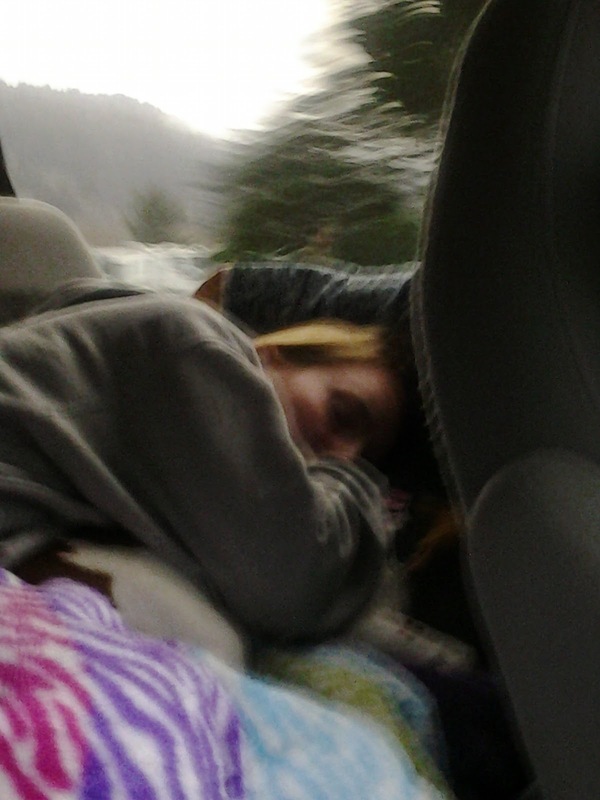 The road was too windy for DVDs - sleeping was good. We set up camp - Featherstone came out his bag.....Michael weathered the trip fairly well. We set up camp. Michael is stretched out - it was a long drive to make - but we really wanted to touch base with Mom G. I think I need to buy him another running set. The kids' back bunkhouse has 4 beds.....the girls curtain off their bunks. Stacia will sleep on the table this trip as Krista is joining us and will get her bed. Krista called and was stuck behind a big accident. Poor thing is going to be tired when she arrives. HI: Featherstone! Where did you buy him? He is so cute and special. :):):):):) Love the intelligence of Yuuki!! Actually it always makes me happy to see animals showing we folks how smart they really are. Way to go Yukki! l/p mom t.
Mom, Michael got him for me for Christmas. The joke has been we'll retire, live in a trailer and have a pink flamingo out front.....the joke seems to be coming true.